The Archived was a fabulous book. Rich, creepy, fast-paced, and smart, with lovable characters and gorgeous writing. 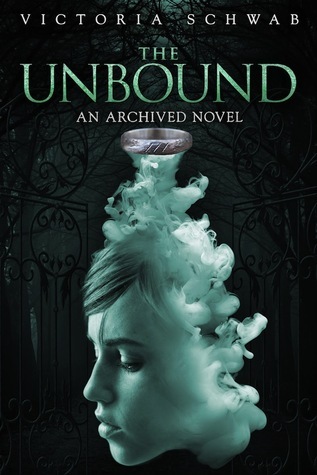 I expect no less from The Unbound. Mac's first journey was terrifying. I saw a lot of change in her and became deeply invested in her story. And then it ended, on a teetering ending. Not much closure, just the promise of more to come. A perfect ending to close up the first book and have me begging for a sequel. I can't wait to see more of Wes in this book and to learn more about the secrets of the Archive. Schwab revealed some creepy ones in the first book, but I know there are more to come! Absolutely can't wait for this one too, and to see more of Wes! I haven't had the chance to read The Archived but I love the sound of this one and I'll add it to my TBR list. Great pick and I hope you enjoy reading it. It is! It's high in the running for one of my best reads of 2013. Yes, yes YES! I just bought The Archived last week (and got to meet Victoria)! She's fantastic! Great choice. Oh wow! I'm so jealous! That's amazing. (: You're going to love the book. Nice pick! I still need to start this series. It sounds really great! Happy reading! What a cool cover! I haven't heard of this title yet but it sounds awesome. Thanks for sharing. I know! I love the smoke and the atmosphere. It really fits the book. Check it out!